Would you wear clothing made from nettles? What about a hat derived from cow manure? These are questions you never thought you’d ask yourself, but companies and researchers are working hard to provide innovative, sustainable, and eco-friendly clothing alternatives across the globe. One of the most recent victories was achieved by Dutch artist Jalila Essaïdi who was able to make clothing from the manure of farm animals. Yes, I know how it sounds. When she hoped to use the proteins in goat’s milk for an art project, she was introduced to the hazards posed by excessive amounts of animal manure. Though the Netherlands is able to use some of this manure as fertilizer, there’s simply too much dung to handle. As such, this waste invades local waterways and poses a sanitary threat to local ecosystems. This issue is also prevalent in the United States. It’s estimated that 80% of hazardous waste sites, including those from local farms, have negatively impacted groundwater quality. Luckily, Essaïdi was able to find a unique characteristic in cow manure: cellulose. 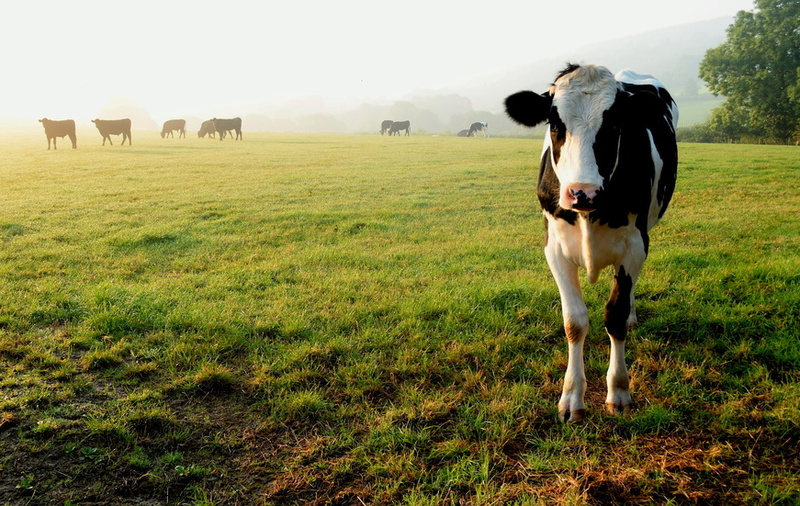 Researchers found that cow manure is made of 33% cellulose due to the vegetarian diet the animals keep. Cellulose is a common component in plant materials that textile manufacturers utilize to make a variety of clothing products. Even though it seems odd, Essaïdi was able to use these regenerated cellulose fibers to create clothing. This product, fabricated through the use of biotechnologies, has been dubbed Mestic. Not only has Essaïdi provided a new sustainable product in fashion, but she has also developed a product designed to significantly cut down on the animal waste present in the Netherlands. Biotechnology has been around since 1919, but it was only 50 years later that researchers were able to perform a successful recombinant DNA experiment. It’s through that same biotechnology that researchers hope to craft more sustainable methods of living in the future. One Kenyan company has also created an eco-friendly clothing line using nettles. 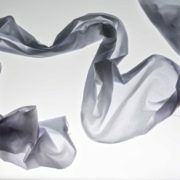 Green Nettle Textile won the year’s most prestigious award recognizing sustainable fashion, the Global Challenge Award. This annual challenge is hosted by the H&M Foundation to inspire innovative, sustainable designs in clothing and textiles around the world. By developing a clothing line from nettles which grow veritably anywhere, Green Nettle Textile was able to produce a form of sustainable fashion while also supporting local farmers. The group was awarded $170,000, beating out more than 6,600 entries in the competition. These innovations are another way that the market is changing to favor eco-friendly initiatives. Even celebrities like Kate Hudson have begun to enter the sustainable fashion world. It’s not surprising that Hudson has entered this emerging market. The co-founder of Fabletics has already shaken the fashion industry with her size-inclusive athletic wear. But her new eco-friendly clothing line Happy x Nature, which is made from recycled plastic bottles, has been released just in time for festival season. Her collection will be available online with clothing priced between $45 and $150, making it accessible for many. Hello fellow fashion lovers, ever wish you could participate in at least once new york fashion week event? Thanks to TechStyle NYC, you can. TechStyle NYC opens its doors to an all-day, influencer, media, and select guests-only event, on September 12th, a perfect event to help close out NYFW. This amazing brand showcase promises 3D printed garments, fashion forward apps, and new ways to accessorize your favorite wearables. 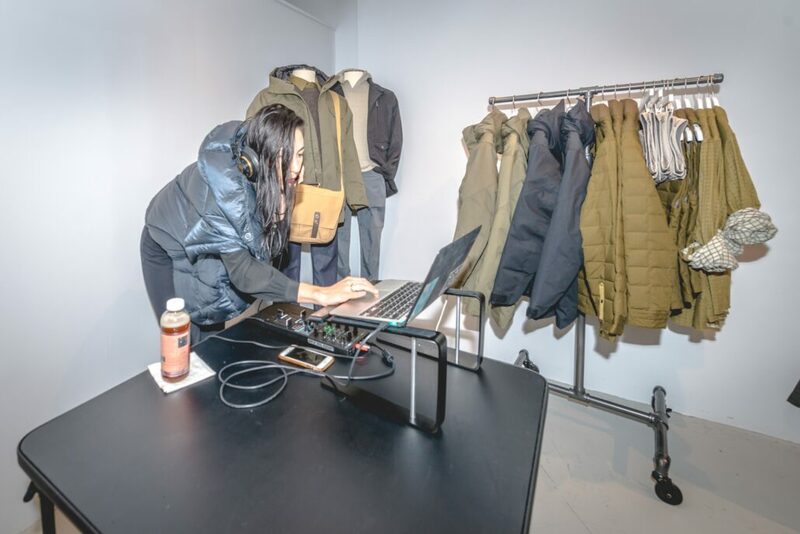 Located in a fashion-week friendly venue set suitably between Skylight Clarkson Square and Milk Studios, several very cool brands will highlight their goods and services at TechStyle NYC under the theme of sustainability. Attendees will be enlightened to the likes of such innovative brands as Venia Collection, a contemporary design studio leveraging advancements in Virtual Reality and 3D Printing. They are the go-to for popularizing the possibilities of creating clothing using only 100% sustainable fibers to curate the best possible product for you and the environment. Guests are encouraged to interact with featured brands at the event, and via social media platforms. There will be plenty of activities to Instagram, Tweet, and Snapchat about. Now in its 7th year, TechStyle NYC has always celebrated the New, Now and Next in the fashion, beauty, tech, and lifestyle industries. With tech fully immersing itself into the fashion realm, TechStyle NYC event is a must to attend, especially if you love innovation. All these good things will take place at the lofts at Prince Street (177 Prince Street) in the Penthouse and Roof Deck. The open showcase of the brands will be held from 12-7pm on Tuesday 9/12/17. Tickets are $10 and can be purchased at http://txtyl.nyc/sustain. For more go to www.techstyle.nyc, follow the feed at #TechStyleNYC, @TechStyleNYC on Facebook, Twitter, and Instagram, and share your experience on Snapchat at TechStyle_NYC. 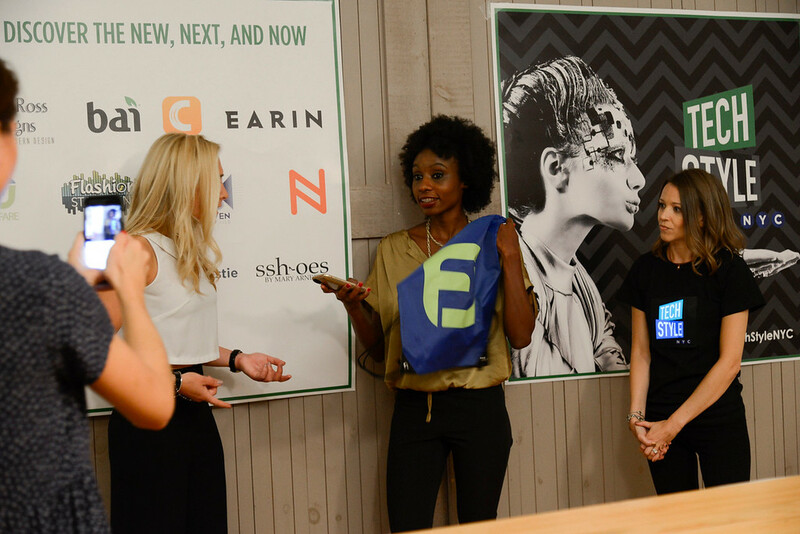 Will you be attending this innovative event during New York Fashion Week? 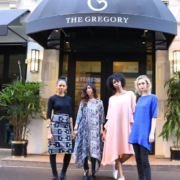 Claudine DeSola of Caravan Stylist Studio has teamed up with conscientious-chic designer Tabitha St. Bernard to create a small capsule collection, the CARAVAN X TABII collection, launching with an interactive pop-up atelier at The Gregory Hotel. The NYFW pop-up will allow fashionistas the unique opportunity to purchase a garment they help bring to life. By selecting their fabric of choice, they will watch as their outfit gets created right before their eyes. This unique pop-up is open to the public (NO RSVP is required!) allowing the general public to experience a bit of the wonderful excitement of NYFW. The CARAVAN X TABII collection consists of two zero waste designs and takes the emerging “see now, buy now” trend one step further with a “made now” option. The CARAVAN X TABII collection seeks to make women feel good about what they are wearing. The streamlined, zero waste designs will be made with surplus fabrics, with every square-inch being used in the collection. 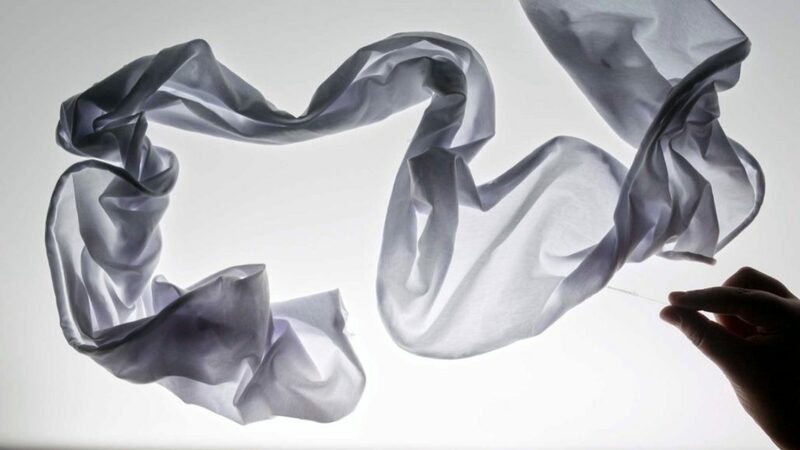 Any fabric that is not used for the design of the garments will be later turned into sachets and scarves. The conscientious-chic CARAVAN X TABII Collection is not only waste reducing, the experience will also serve as color therapy for consumers, who are given the opportunity to select the fabrics and colors that are meaningful to them. The CARAVAN X TABII collection is supported by NYC Fashion M.A.D.E., (Manufacturers of Alliance of Design Educators), which will enroll a candidate from the factory where the collection will be produced in their educational program. The CARAVAN X TABII Collection Pop-Up opens for two days only at the very fashionable, 132-room boutique The Gregory Hotel, located in midtown Manhattan at 42 West 35th Street, on Friday, February 10th, and Saturday, February 11th, from 11 a.m. to 5 p.m. 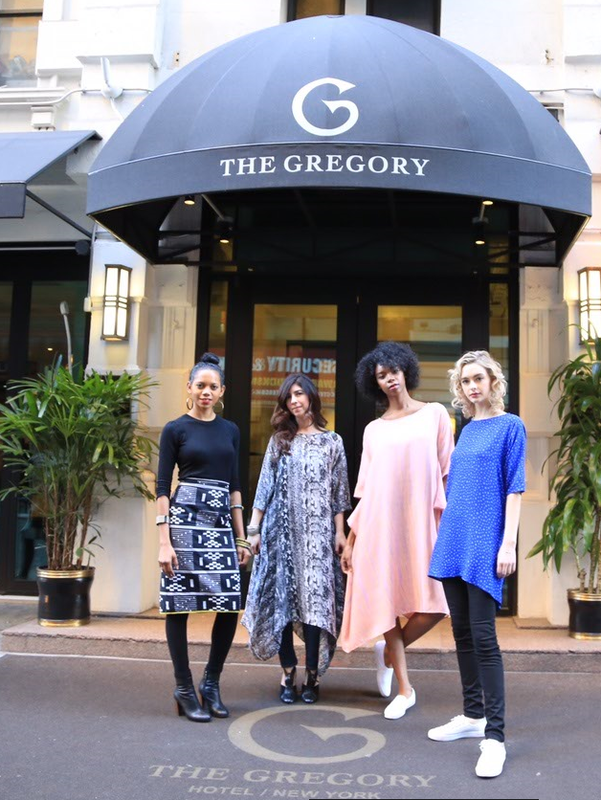 If you love one-of-a-kind pieces and want to support reducing fabric waste, head over to The Gregory Hotel for this great event. We will certainly be stopping by. Will you be attending the open-to-the-public pop-up event for this sustainable fashion collection? 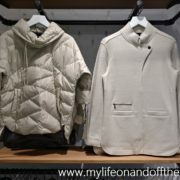 What garment are you interested in having made? 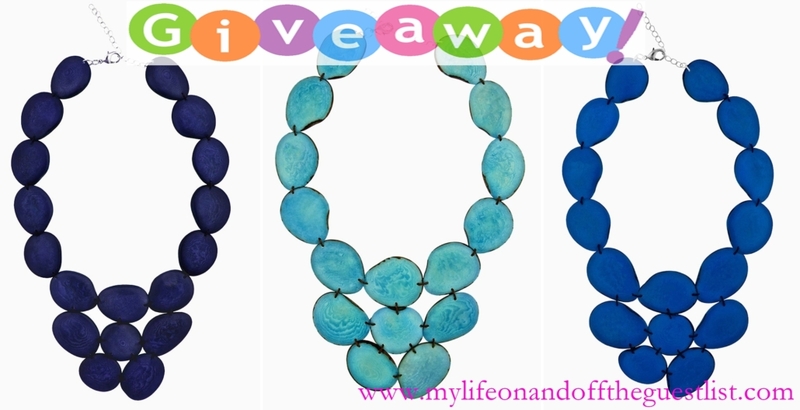 Share your fashionable thoughts with us. Is it too early to think about the holiday gifting season? We don’t think so, especially when the items we’re highlighting today are essential to the cold temperatures and wet weather we’ve been experiencing this fall. We had the pleasure of being introduced to the refined Fall/Winter collection from Portland-based apparel brand, Nau Clothing (pronounced now). 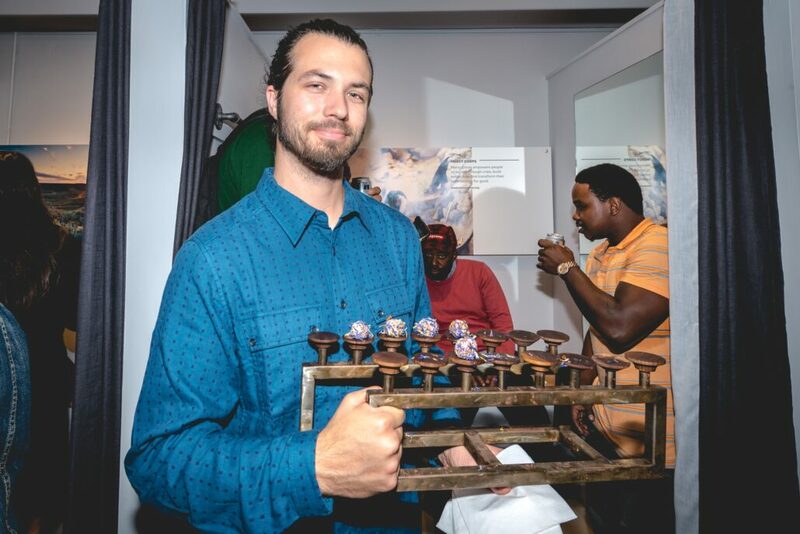 The event was to celebrate the return of Nau Clothing to the East Coast and the opening of their New York pop-up shop. Founded in 2007, the Nau Clothing fashion label creates premium apparel for men and women that blend technical performance and modern design, crafted from sustainably sourced materials. The sustainable fashion brand, whose name means “Welcome”, offers rain jackets, insulated and recycled down jackets, trench coats, dresses, shirts, pants, and skirts. The fall/winter collection boasts sustainable basics and outerwear essentials. 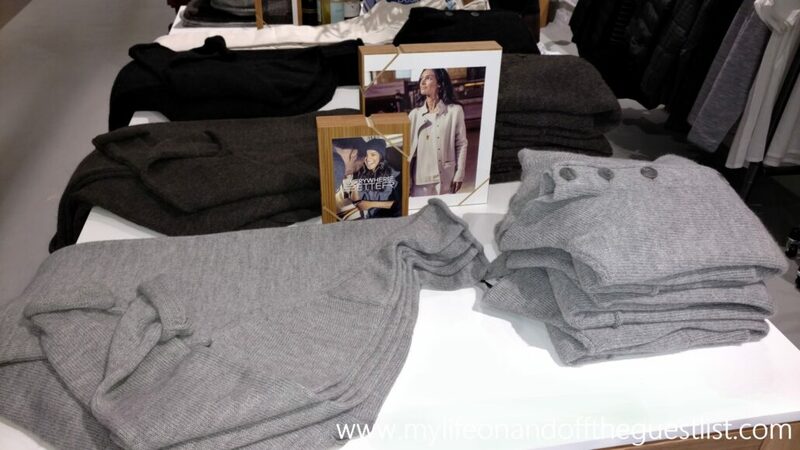 Some of our favorites include incredibly soft and cozy alpaca cardigans, structured Merino wool jackets, warm and travel-friendly down pullovers, modern and ultra-soft down stoles, moisture wicking and thermal regulating pants, comfortable, easy wool dresses, and much, much more. 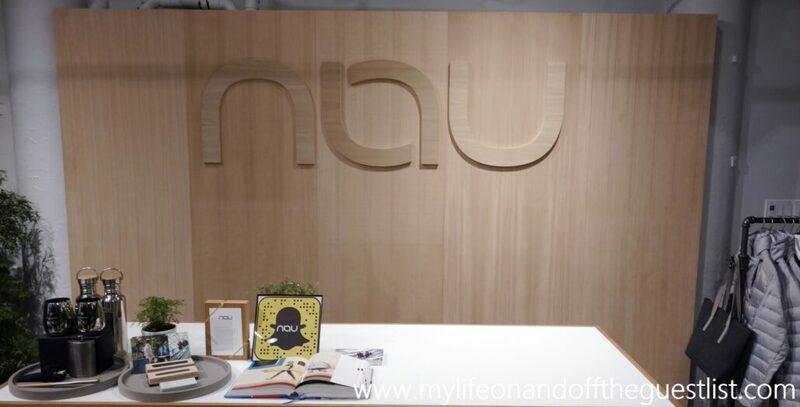 We love the design aesthetic and silhouettes from Nau Clothing because of its versatility, its classic looks, and its ease of travel anywhere pieces. 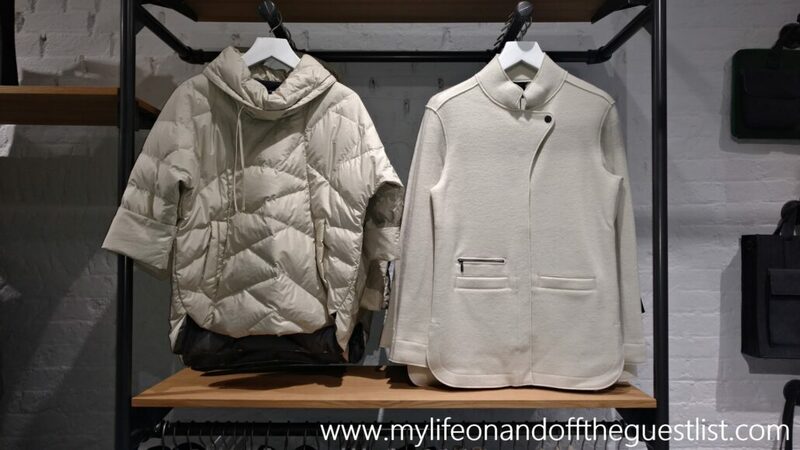 Pieces from the Nau Clothing collection will last you multiple seasons for many years without losing its innate style. 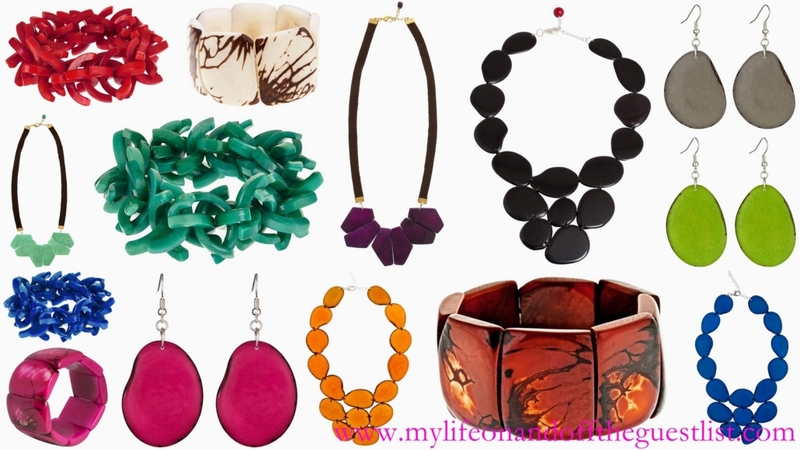 It’s no surprise to know these pieces will seamlessly take you from season to season, year to year. 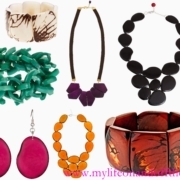 Many items will easily become favorites you’ll be pulling out of your closet to wear time after time. The event’s music was provided by Kristin Kontrol, the newest musical endeavor from Kristin Welchez of Dum Dum Girls, while Megan Morrison, fashion illustrator from TravelWriteDraw, captured guests sporting their Nau favorites with custom artwork. Guests also enjoyed complimentary farm-to-table bites and craft beer and wine from Oregon-based Ninkasi Brewing Company and Union Wine Company. 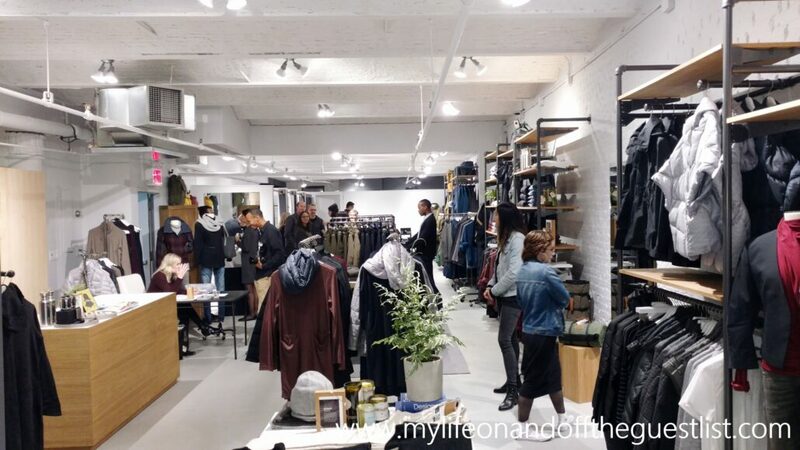 The Nau Clothing pop-up shop is located at 262 Mott Street in New York. Hours are Sunday 11:00 a.m. – 7:00 p.m.; Monday – Saturday 10:00 a.m. – 8:00 p.m. For more information, call (212) 334-3343.